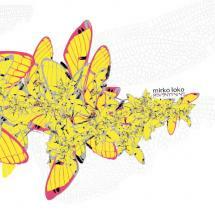 All tracks written & produced by Mirko Loko for Cadenza Records. Mastered by Rashad @ D&M, Berlin. Published by Cadenza Publishing. (p)&(c) Cadenza Records 2009. All rights reserved. Made in Eu. Distributed by Wordandsound. It's always a special event when Cadenza releases an artist album, given their relative rarity. In fact, not counting copious doublepacks, the Cadenza Contemporary 01 mix CD, and Ricardo Villalobos' counterintuitively titled Achso EP, there has only been one so far: Los Updates' First If You Please. Making things even more special, Mirko Loko's Seventynine is both his debut solo album and his first appearance on Cadenza, all adding up to a triply celebratory moment. Not that Mirko is a newcomer: as part of Lazy Fat People, he lapped up accolades for releases on Border Community, Wagon Repair and Carl Craig's Planet E, among others. And no one can forget last year's Family EP, a collaborative effort by Mirko and Luciano, released on Loco Dice and Martin Buttrich's Desolat. Now, with Seventynine, Mirko takes us even deeper into his musical imagination, introducing listeners to a side of him they may not have heard before. At its heart, the album celebrates the communal ideal of dance music with spirited, percussive tracks offering a clear distillation of what could only be described as the Cadenza sound. But Mirko also diverges from the dance floor, ducking into shadowy corners in search of more private emotions. Rather than scattering energy, that tension between moods helps bind the album into a potent, coherent whole. "Sidonia" opens, immediately announcing that this won't be merely business as usual. With its groaning sub-bass and flickering percussive flashes, the track echoes the dubby, drifting melancholy of classic Warp records—always, in truth, a key influence for Cadenza. Bells and voices lend an atmosphere of shimmering energy that's carried over into "Around the Angel," which sails jubilantly forward, propelled by intricate polyrhythms and uplifting female vocals. "Love Harmonic" returns its attention to a classic, melodic sound inspired equally by Detroit and Sheffield, as lean drum-machine patterns entwine with loping congas, and lush strings color everything delicate shades of yellow and rose. "On Fire" marks a 180-degree turn, pursuing a scorched-earth policy as blasts of white noise fire off slow, rhythmic bursts. Sirens and electronic squeals only add to the tension, culminating in nearly nine minutes of techno intensity. "Shadow" is deep and melancholic, with a booming 808 kick underpinning ragged, gleaming chords and frayed strings; its hard, mineral edge provides the perfect setup for the cottony flux of "Takhtok." The children's chant will doubtless draw comparisons to Ricardo Villalobos' "Enfants," but here childlike innocence turns ambiguous, even sinister, as the repetitions rise over a primal beat; scraps of Bulgarian folk song give the track a weirdly timeless quality, strange and familiar all at once. With "Le Monologue d'Orfeu," Mirko returns to one of his endlessly unspooling, headlong grooves. Spinning like a water wheel, limpid tones wash gently over everything, and a long spoken passage in hushed Portuguese falls over the music like a dream's veil. It's just one of the album's many examples of Mirko's talent for simplicity, for stripping back to reveal the essence of a particular feeling. "Altrove" is another cinematic interlude, two minutes of molten strings and electronic birdcall you wish could go on forever. But there's one more dance to be had: "You Know Where," which rises from a wooden, skippy rhythm into a string-laden celebration of techno at its most melodic. Having twice performed at DEMF, "You Know Where" might well refer to the Motor City; in any case, its deep, sung/grunted bassline serves as the warm, pulsing heart for this massive, man/machine mover. It's a glorious finish to an album that never takes its eyes off the horizon, sending it up, over and beyond.